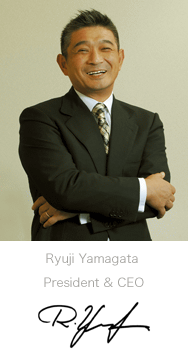 Yamagata Corporation enables companies to reach new audiences and communicate globally. We have helped our customers create new channels of communication, reduce production costs, and decrease workloads. With a presence in nine countries and a long-standing business network across all major international markets, we will deliver on time and on budget — wherever you do business. Founded in 1906, Yamagata Corporation became the first company in Japan to offer commercial printing in European languages. We have a long history of working with a variety of businesses and have a deep understanding of industry-specific communication needs. Many of our customers rely on our expertise to develop and execute multi-channel strategies on their behalf and to create and publish content outside their home country. In the global marketplace, communication is a complex and time-consuming endeavor. Our goal is to create ease of use, make things simple to understand, and reduce the burden to the client. PF 3D Works MSC Sdn. Bhd. is established in Malaysia. Printelligence (Wuxi) Co., Ltd. is established in China. Ycomm EUROPE NV is established in Belgium, changes its name from Yamagata Technical Center Co., Ltd. to Ycomm Co., Ltd.